I've been playing a little bit with the beautiful papers from the Botanical Butterfly Designer Series Paper, but today, I really had fun with the different butterflies in this paper. There is so much variety. I decided to make two cards and selected butterflies with a Heather Highland shades and Granny Apple Green for one and Daffodil Delight and Granny APple Green for the other. I also used two different sentiments from the Stampin' Up! Butterfly Gala Stamp Set -- highlighting one on each card. The Butterfly Gala Stamp Set is from the Occasions catalog and the Botanical Butterfly Designer Series Paper is a free selection with a $50 order from the Sale-A-Bration Brochure. I used a basecard of Soft Sea Foam. Then I used one of the striped patterns from the Botanical Butterfly Designer Series papers and one of the prints from the same paper pack to create a center panel. I only used 3/4" strips of the striped material as the back side of the paper is filled with Butterflies I wanted to use on other projects. The butterflies are from two different prints in Botanical Butterfly Designer Series Paper. I hand cut them out the the paper and then used a Granny Apply Green Blends or a Daffodil Delight Blends pen to color the Balmy Blue or Grapefruit Grove boarders so they better matched the background paper. For one card, I selected Butterflies with mostly yellow shades. For the other card, I selected Butterflies with Heather Highland shades. I used a strip of Basic Black cardstock for the sentiment. Using sentiments from Stampin' Up! BUtterfly Gala Stamp Set, I heat embossed the sentiments with White embossing powder, and then cut them to fit across the top of the largest butterflies tips. These large butterflies we towards the edges o the paper and the tips were cut off, however, you would never know it after I positioned the sentiment across the tips to cover these parts of the image. I added Granny Apple Green Glitter Enamel Dots to each edge of the Basic Black sentiment. If you like something you see, order it as soon as possible. Back in November when I saw all of the wonderful Butterfly items in the Occasions and Sale-A-Bration catalogs, I knew I was going to order everything! Butterflies are very popular in our catalogs, and sales of these new butterflies --as expected--have been booming! As mentioned earlier, the Butterfly punch is out of stock. Stampin' Up! had ordered 4 times the quantities of a normal yearly inventory for a punch, when they realized how popular this punch was going to be after Demonstrator pre-orders and early Sale-A-Bration orders began. And it still wasn't enough! Stampin' Up! is waiting for word on when the next order will arrive, but due to the time it takes to order punches, it looks like it might be towards the end of Sale-A-Bration before this punch is back in stock. But don't worry. This punch will carry over after Sale-A-Bration, so be sure to add it to your Wish List to order as soon as it become available again. I'll let you know when new stock arrives. 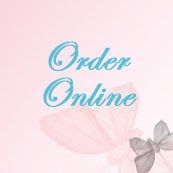 Need to place on order, today? Remember that each $50 order earns you a free Sale-A-Bration selection. Today's Botanical Butterfly Designer Series Paper would make a great, free Sale-A-Bration selection with your $50 order. 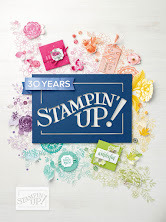 What's it like to be a Stampin' Up! demonstrator? It's great! Use your creativity to design cards and paper craft projects you know will show others how special they are to you. Get together with friends on a regular basis to work on projects together, share ideas and learn new techniques. Stampin' Up! demonstrators can spend their time coming up with their own projects or use the wonderful designs created by the professional designers at Stampin' Up! to help them with creative ideas. 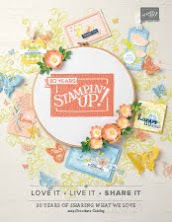 Demonstrators have early access to videos and project ideas for how to use new stamp sets and products from Stampin' Up! before customers see them. Demonstrators also have exclusive access to Stampin' Connection, a Stampin' Up! forum topics, card ideas, upcoming card swaps, how to use Stampin' Up! tools, business topics, and all sorts of topics the thousands of demonstrators around the world want to discuss. Demonstrator's have access to Stampin' University, to help new and experienced demonstrators learn about Stampin' Up! products and how to grow their business. These are also several Stampin' Up! - only Facebook sites for Demonstrators sharing ideas for classes, or for Stampin' Up! demonstrators encouraging each other as they work towards the next promotion or next incentive trip. You'll love the comradery of belonging to the Stampin' Up! family, and meeting face-to-face at Stampin' Up! On Stage events held twice a year in different cities throughout the USA. Demonstrators also have access to sophisticated tools for promoting new catalogs and new products, setting up a website, pre-designed postcards and mailings to customers, including mailing list management, calendar management and event registration management tools. 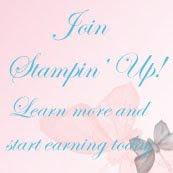 If you've thought about joining Stampin' Up! as either a hobby demonstrator -just for the 20% discount on your orders-- or if you've always wanted to start a fun, part-time business to earn a little extra money while having a ball with your crafty friends, you can join for $99 and pick $175 worth of merchandise from either the Occasions or the annual Stampin' Up! catalogs as your starter kit. Put together your wishlist of $175 worth of products--personalized with just what YOU want. This becomes your starter kit. Host sets and Sale-A-Bration gifts are excluded. Build your hobby supplies with your 20% demonstrator discount, if you choose to be a hobby demonstrator, with no obligation to host workshops or sell products. Or, grow your business if you decide to turn your hobby into a business. If you decide to drop, there's never a penalty. And you can join again, later.